But first, let’s take a look at some cars you won’t see very often, or perhaps didn’t even know existed at all. To kick things off, a BMW that is not really a BMW. 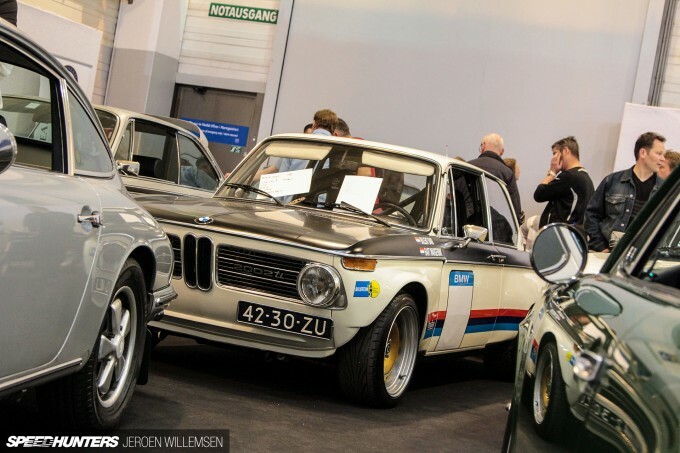 But why was it on the BMW stand? 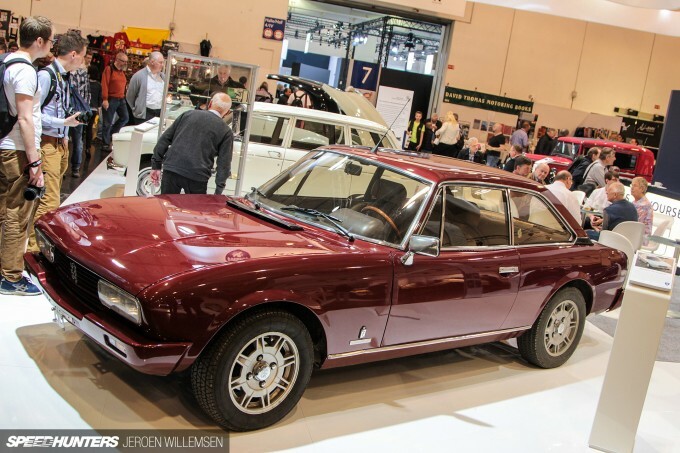 The car is actually a Glas 3000 V8 built by Glas Automoble, and its designer, Pietro Frua, is the same person that penned the Maserati Quattroporte. 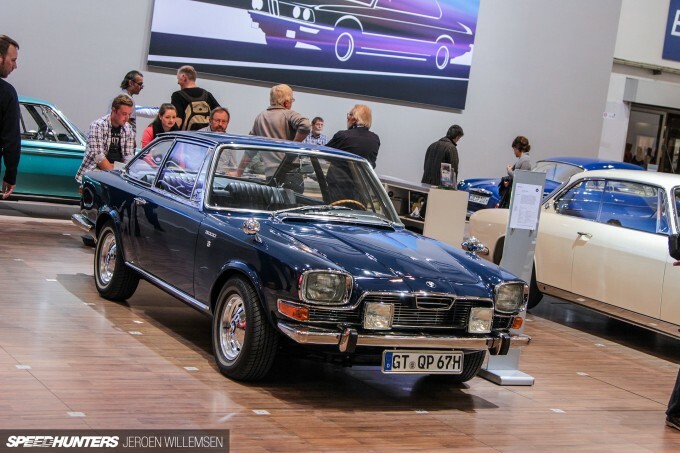 The Glas 3000 V8 shared many similarities with the Maserati earning it the nickname ‘Glaserati’, but in 1967 BMW took over Glas Automobile and placed their iconic badge on its hood. 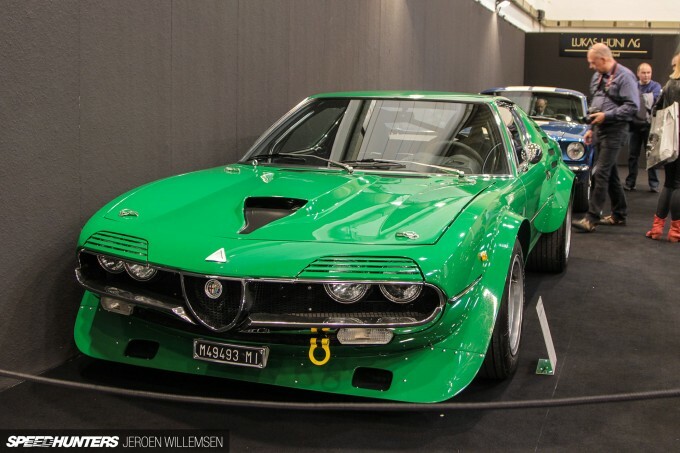 Then there was this green monster tucked away in a corner – an Alfa Romeo Montreal that left the factory on the 18th of March 1971. In 1972 it found its way into the shop at Autodelta, where it was transformed into a Group 4 monster. This meticulous restoration has come after many years racing. 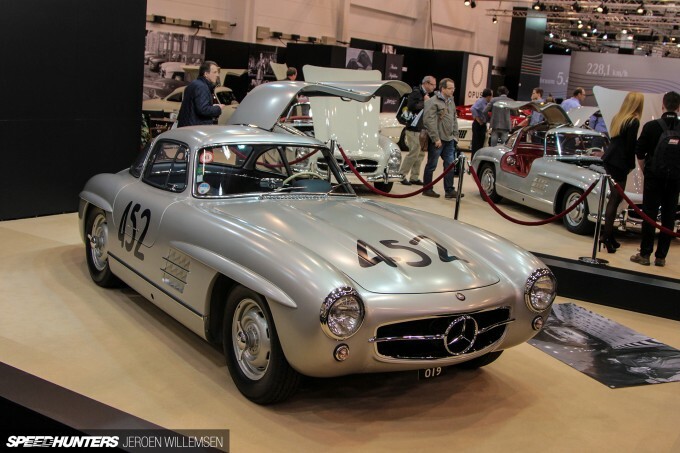 If you’re of the thinking that there aren’t many SLs left, I urge you to walk around the halls of Techno-Classica. In fact, there were so many this year that I lost count! It was this particular example that stopped me in my tracks though. Only 1,400 Mercedes-Benz 300 SL Gullwings were ever produced, but of those just 29 were built with a lightweight all-aluminium body. This is one of them. 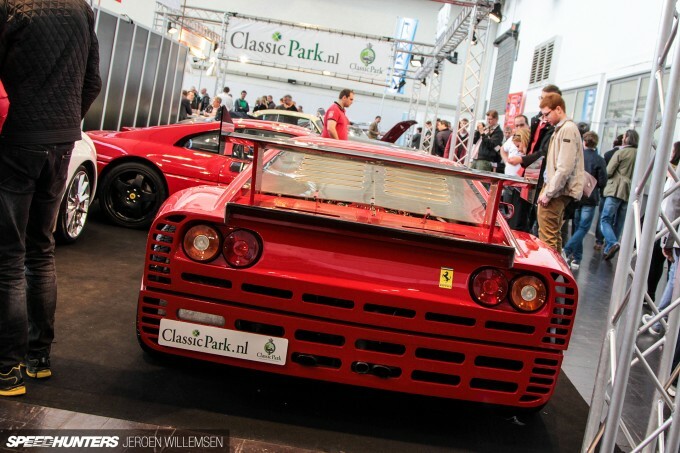 The Ferrari 288 GTO Evoluzione was a special model of the car developed in the ‘80s to participate in Group B racing. But after several serious accidents in the World Rally Championship, the no-holds-barred category was discontinued. Only five genuine 288 GTO Evoluziones were ever built, but this car is an exacting Jim Carpenter replica based on a Ferrari 328. 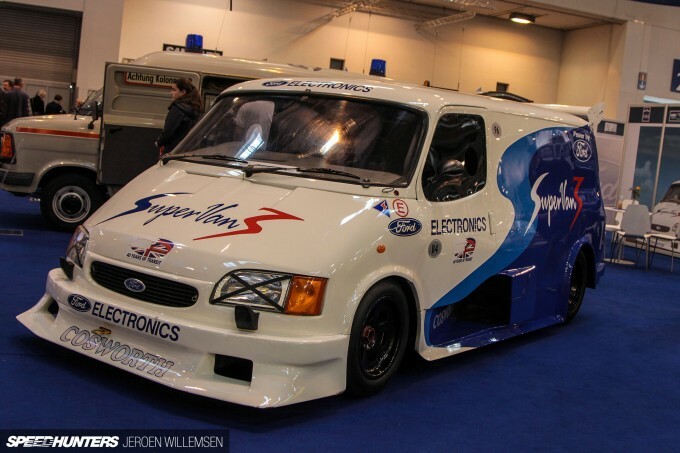 Ford was well represented at Techno-Classica, and of all the blue oval badged machines on display, Supervan 3 was the stand-out for me. Originally fitted with a Cosworth HB engine, it now features a Ford-Cosworth Pro Sports 3000 V6 engine in its pure race car underpinnings. Just take a look at its engine bay! The YB engine has been fitted with a host of upgrade parts that reputedly boosted power from 204PS to 380PS. 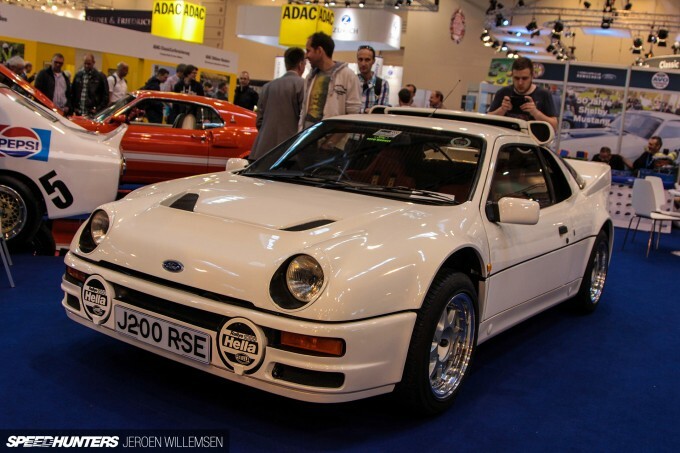 No classic car show would be complete without at least one Ford RS200 and this road-going version is one of the 200 built for homologation purposes. 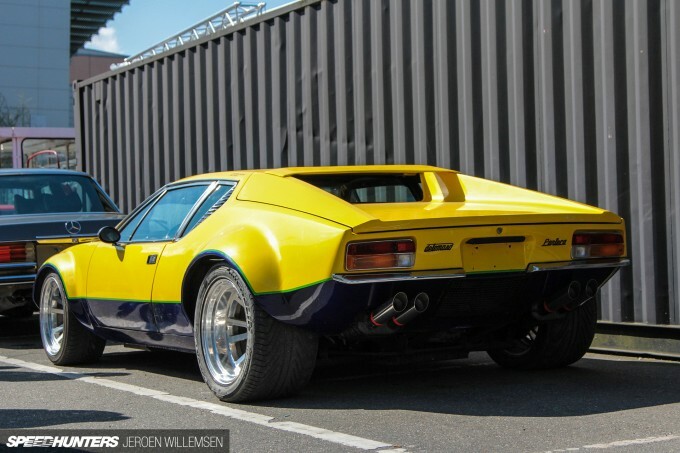 When I stepped outside for some fresh air I came across this De Tomaso Pantera. 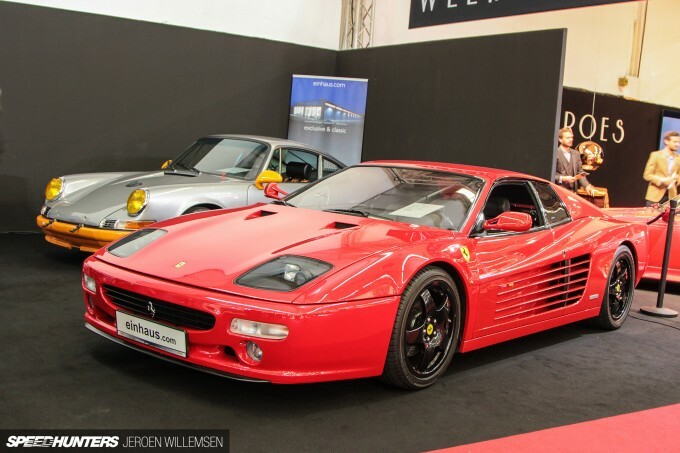 You never know what you’re going to find at Techno-Classica. 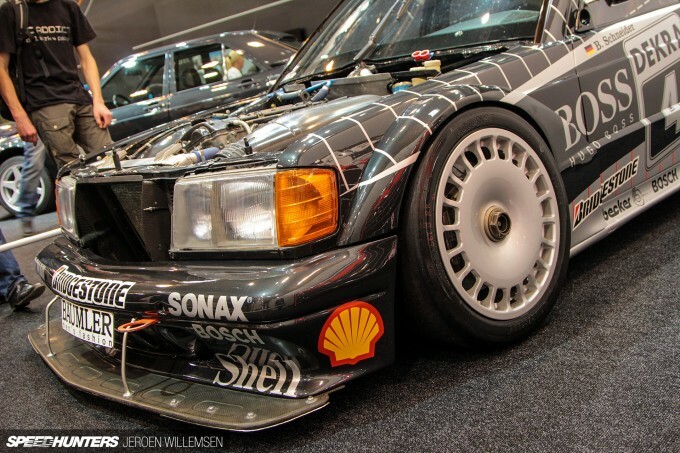 In my first post from the event we took a closer look at the BMWs on show, but I wasn’t going to forget Mercedes-Benz. 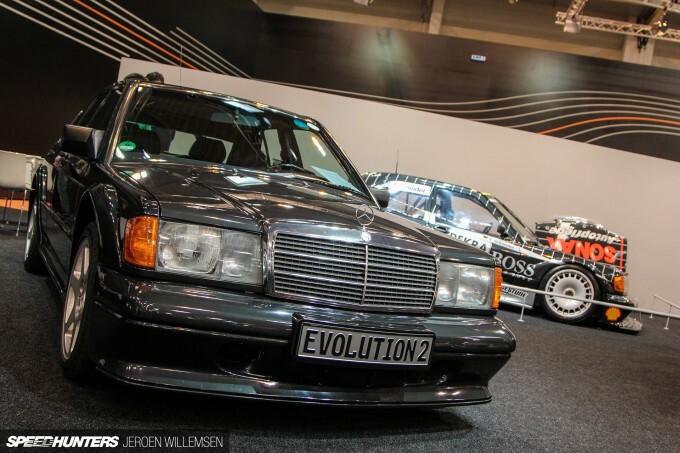 This Mercedes 190E Evolution II is a continuation of the Evo I version with more power, wider girth and a bigger wing amongst other changes. 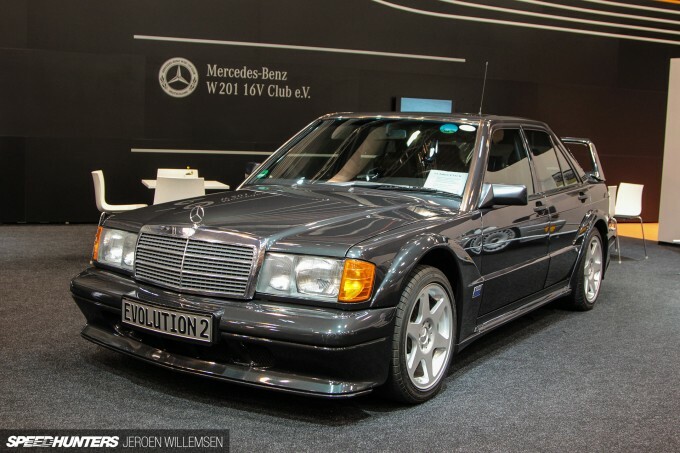 In 1990 502 examples were built as a special homologation model. 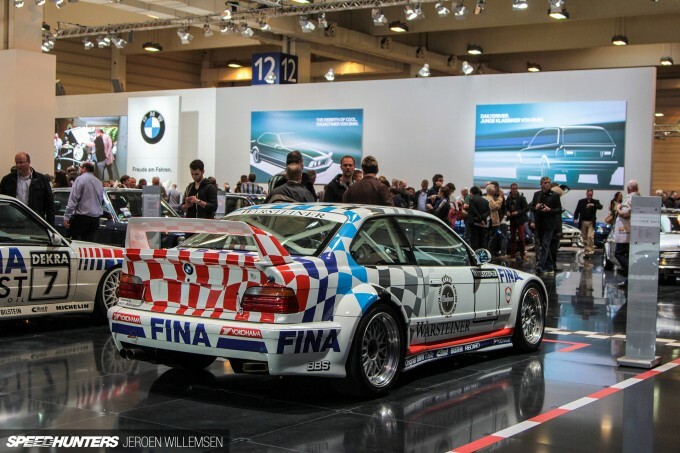 That homologation was required for this machine to enter the 1992 DTM championship. 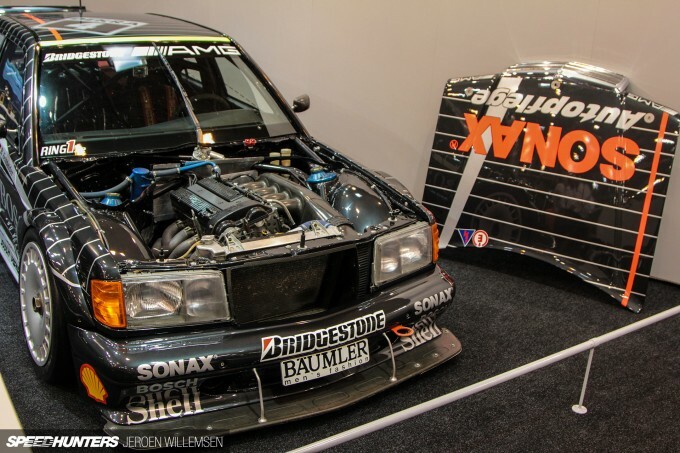 This particular Evo II DTM was campaigned by AMG-Mercedes with Bernd Schneider behind the wheel, and it took four victories and ended up in third place overall for the ’92 season. When I talked about the car with the person responsible for it, he asked if I wanted to see the engine. Of course, I said yes! The 2.5-litre twin cam 16-valve four cylinder looked very clean with a massive carbon air intake. 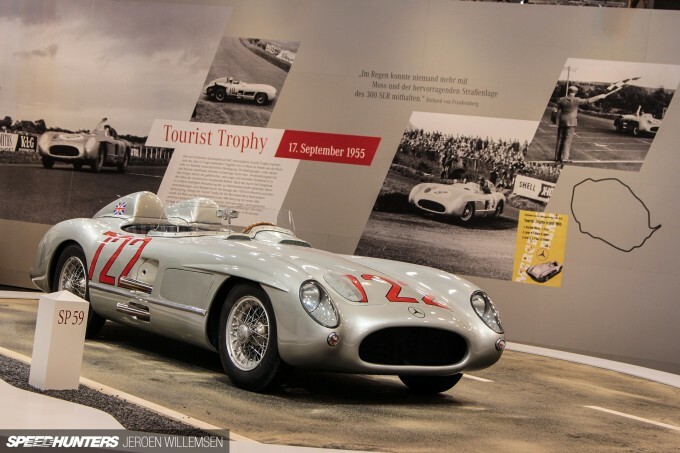 A big part of the Mercedes stand was reserved for this 300 SLR from 1955. 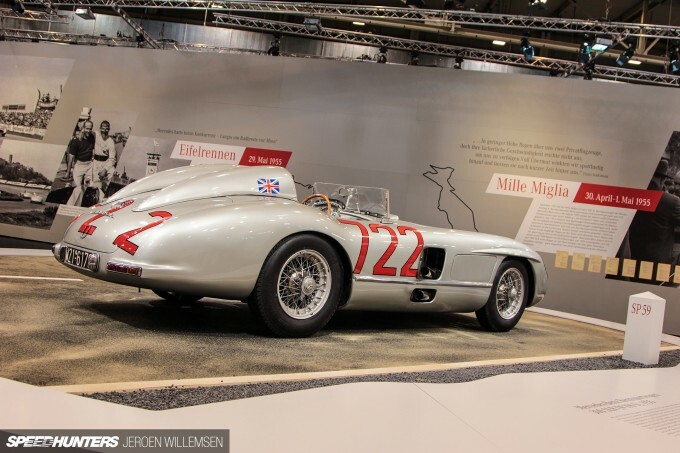 In that same year racing driver Stirling Moss and navigator Denis Jenkinson won the Mille Miglia with an average speed of 157.65km/h – a record that still remains unbeaten to this day. 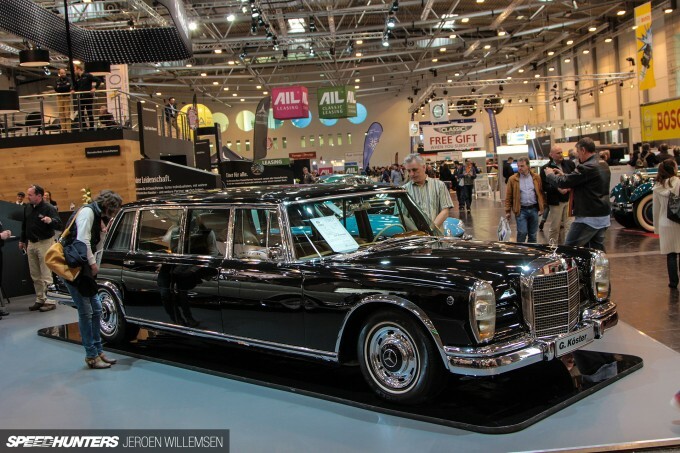 This Mercedes-Benz 600 Pullman from 1967 was only fit for royalty and heads of states, hence the fittings on the front fenders to mount flags. 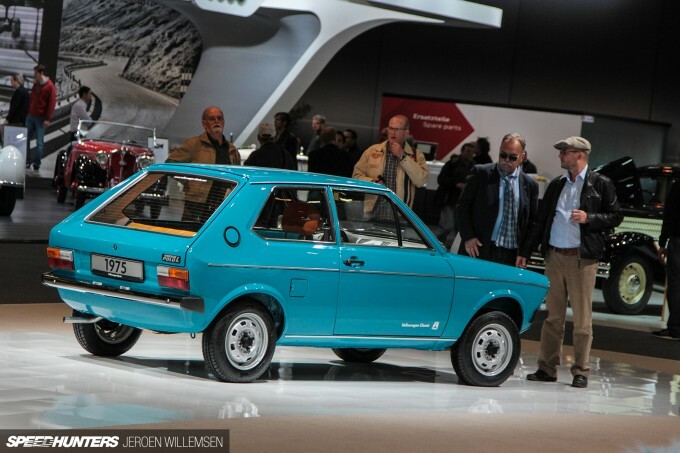 Volkswagen had a special Polo display with this L version taking center stage. It’s perhaps not a car with the same fan base as the Volkswagen Golf, but still an important part of the automaker’s history. On the Volkswagen test track in Ehra-Lessien this Polo II prototype with G-Lader reached an average speed of 208km/h over a period of 24 hours – a new world record in 1985. The vehicle on show is the only surviving car of the three that were made. Today, its modern counterpart is making waves in the WRC. In the first season it competed, the Polo R WRC won 10 of the 13 races, and in 2013 and 2014 Volkswagen Motorsport won the FIA WRC Constructors title. Bugatti is nowadays most famous because of the Veyron. But maybe even more interesting is this Bugatti EB110. 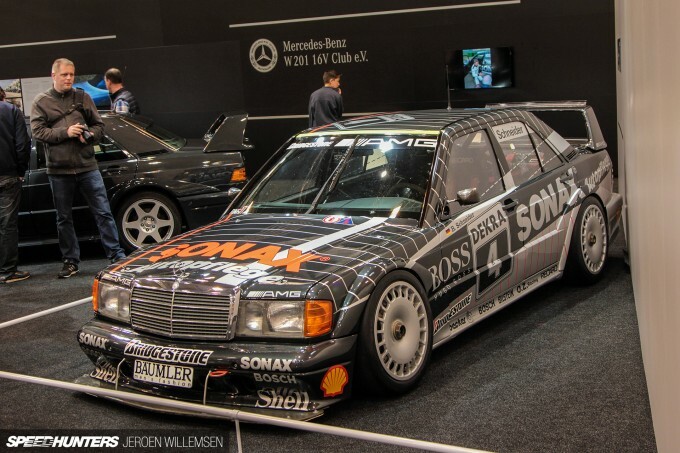 I have always had a soft spot for this car, and a racing version even competed in the 24 Hours of Le Mans in 1994. I can’t see the Veyron doing that any time soon. 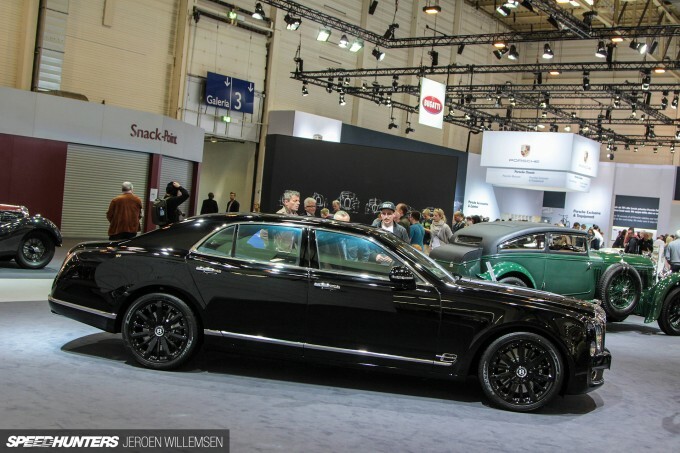 To cap off their event, the Volkswagen Group premiered the Bentley Mulsanne Blue Train, of which only four will be made. The name comes from an event 85 years ago when a Bentley Speed Six raced a train from Cannes to Calais. Obviously Bentley won. 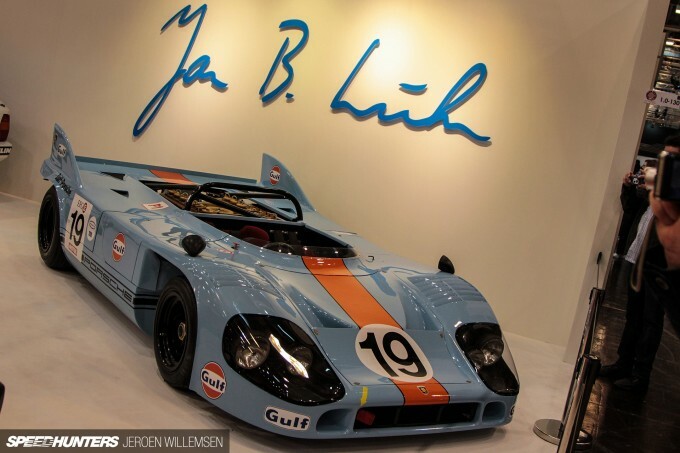 You just can’t go wrong with a flat 12-powered, Gulf-liveried Porsche 917. Another great find was this Porsche 911 RSR IROC from 1974. Only 15 of these were built, and the owner of this one was nice enough to fire it up. You can check out a small clip on my Instagram feed if you are interested. 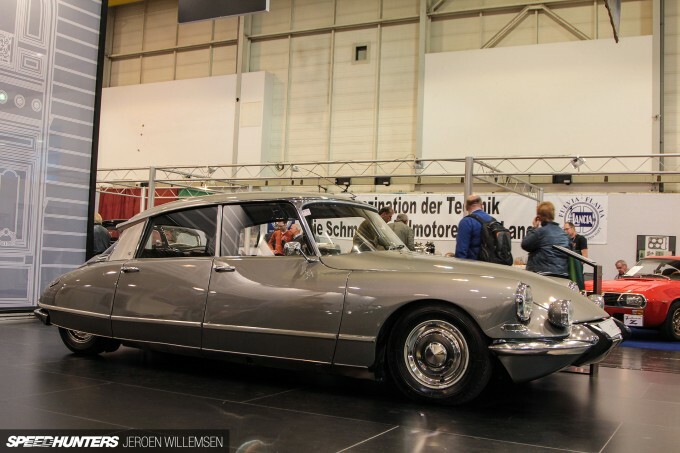 One of the most beautiful cars in the world has to be the Citroën DS, and in my opinion it even rivals the Jaguar E-Type for looks. There, I said it! Even Jay Leno has one, and in this video he shows why this car is so special. 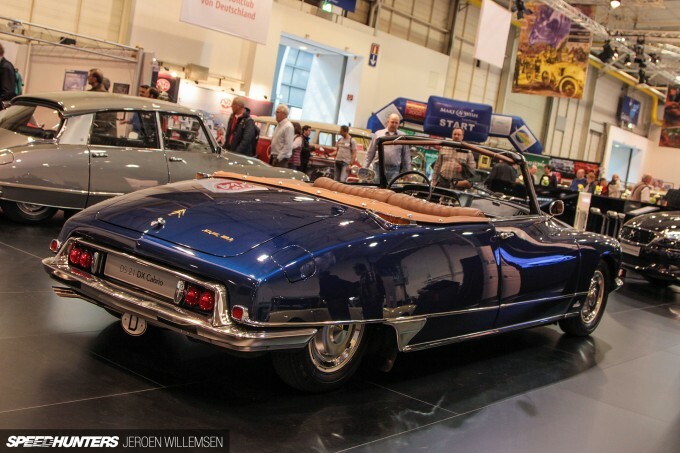 This Citroën DS convertible is even better. The dark blue exterior works perfect with the brown leather interior. Peugeot is French brand that might not be so well known outside of Continental Europe, but they have built some nice cars in the past like this 504 designed by Pininfarina. I just couldn’t pass up the opportunity to show you guys this Ferrari 512M. There’s a lot to love about its combination of Ferrari Rosso Corsa red paint and black Speedline wheels. Jonathan Moore Yeah Jonathan, make sure you head out next year. I'll meet you there any plans for the Motor Show in Essen at the end of the year? When I was a teenager, I built a model of the EB110 and had it on one of my shelves for years. Even though I still build models today, I wouldn't build a Veyron - the Veyron has never resonated with me the way the EB110 did, and still does. The EB110, like the Diablo and F40, was exemplary of what the exotic car was before it became the hypercar or whatever it's called today. 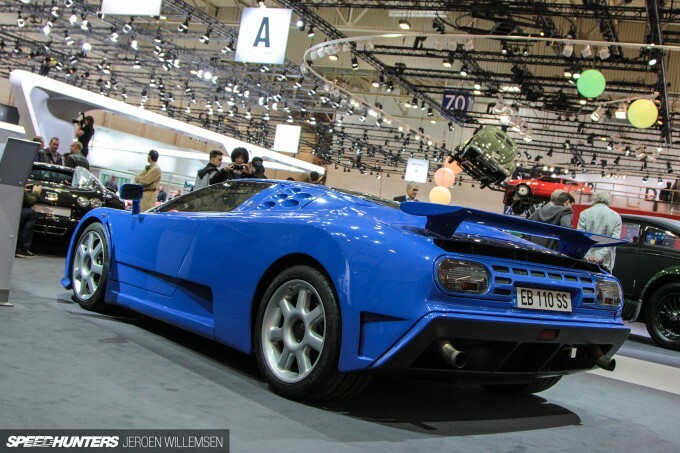 As "good" as an Aventador or Enzo is, they just doesn't INSPIRE the way the Diablo and F40 did. I love 90s oddballs - the EB110, Cizeta V16T, Jag XJ220 - and in many ways, the 90s represent the pinnacle of automotive technology. And as an aside, it's a shame that Wiegert could never get the Vector to work. That thing would've been awesome. The 917 (is it a /10 Can Am Spyder?) is a flat-12, not V12, surely? Quite odd to see a Spyder with the 917K style front lights too isn't it? Any more info about that Polo II race thingy? I think it can inspire some pretty spiffy builds. Acc you are right, not here to argue. sivis It is indeed a flat-12 engine, just changed it and yes it is a rare sight. I hadn't seen one like this before. That alfa Montreal is out of this world !.. More pics more story more something on it please.. Email it to me even ! My that Alfa is quite the Lean Mean Green Machine. Nico Leone This is when Italy used to make REAL RACING MACHINES!!! Sorry, that was just an expression. As in "My,My, dear chap"
I was just showing my appreciation of an awesome looking car. 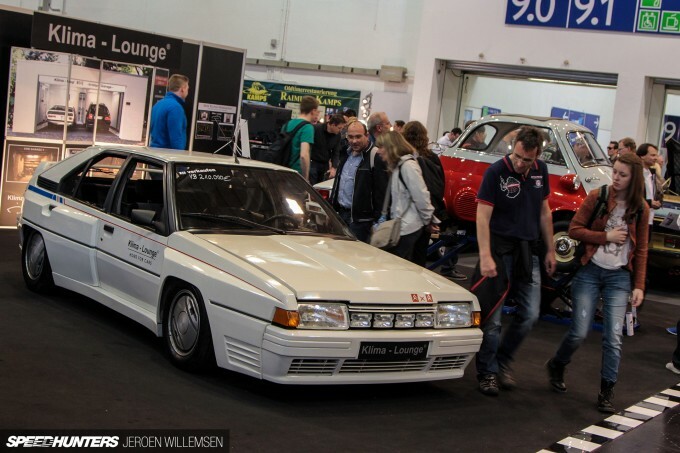 I've saw a Citroën BX 4TC once, if you know the basic model, it's quite a shock when you see this one, looks like a totally different car... Definetly one of my favourite Group B cars, and one of the most unknown. While I really enjoyed the rest of the coverage, it was ultimately disappointing to have such little coverage of the DP Motorsports 911. Yes, the weight is a part of what makes this car special, but the amount of work put into the body is simply astonishing and a shame to gloss over. 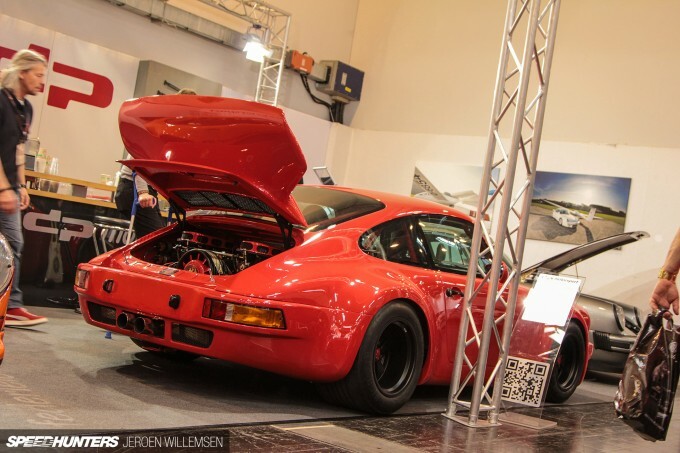 From metal work to improve air flow in the front of these cars to rounding off the door jam, flush mounting windows, mounting taillights a la 935 ect... I mean just look at the panel gaps all the way around the car! Please do head over to DP to give us a full feature and an updated peak and what is going on over there! The WRC Polo and Porsche 12 cylinder 917 deserve their own features...or at least a couple more photos!!! However, on the subject of Porsches...I really used to like 911s, but now I throw up in my mouth a little when I see them. Can we say overexposed? Seriously!!! The RWB ones were great at first because they WERE unique, rebellious ABOMINATIONS. That's what made them rock & roll. Now they're as Pop as Taylor Swift (aka Tailored Sh*t). 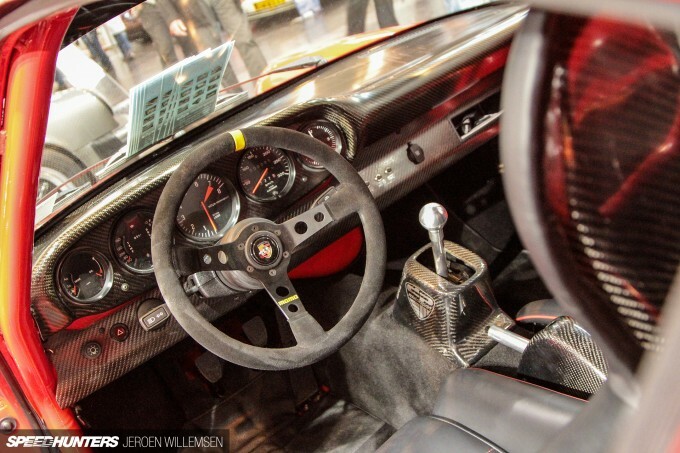 The Magnus Walker cars are nothing without...MAGNUS WALKER. I mean who wouldn't be endlessly fascinated by the combination of Jack Sparrow and Rob Zombie driving a yuppie mobile? He also happens to have the coolest name since Mick Jagger. Don't get me wrong---I'd love to ogle over every 911 solely based on their mystique, but c'mon!!! That Montreal. ..I can't even. 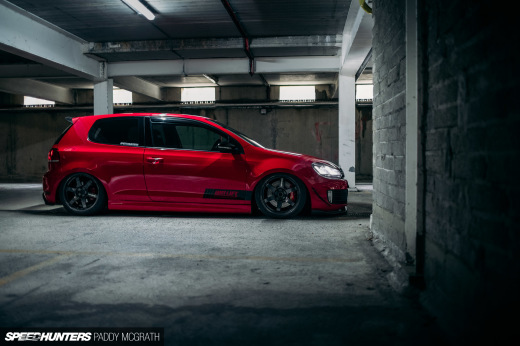 If you work for Volkswagen corporate and you're reading this...LEAVE THE 1975 POLO AT HOME. It's embarrassing. If you wanna impress, bring along a minty MK1 or MK2 GTi. Okay? I have a really nice typewriter from around 1975...I mean mint condition. However, I don't bring it with me to the Apple store. Wow so many bangers here! 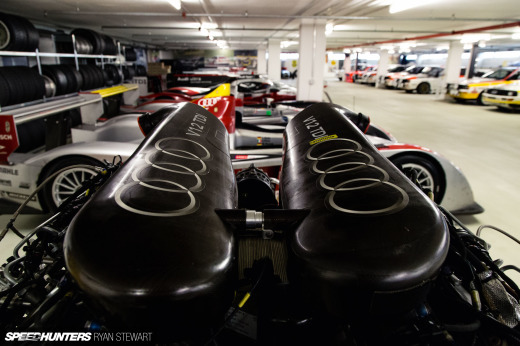 Those Cosworths, that GTO Evoluzione, the DTM 190. They're so clean so perfect! This gotta be the best car show for lovers of late 80s & early 90s machines. @THE GRINCH Where's the dislike button when you need one? Ice Age Even the everyday cars had way more soul and character than today's counterparts. Way more iroc 911's made than what is qwoted they were made for a race series called international race of campions (Iroc) in the USA. 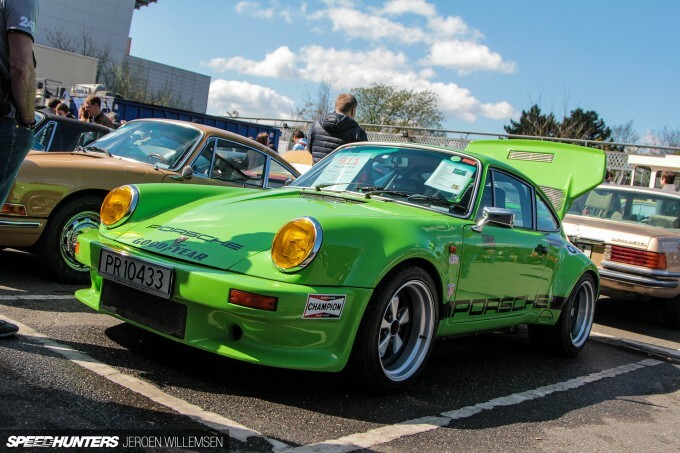 They where a dulled down version of the RSR more or less a rs with a build 1973 build date. 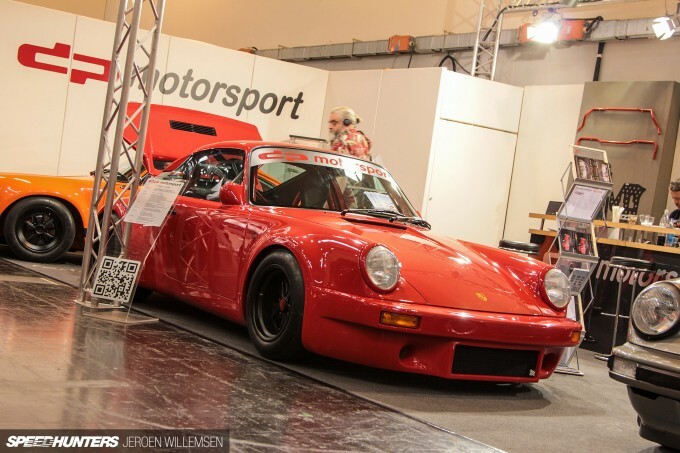 Not many remain today tho as after the series ( porsche only sponsored/supplyed cars for a season) they where sold of to privaters and most where converted to RSR speciations and raced privately. Few do remain in original livery. And no team had a individual car it was more or less pull a number out of a hat n thats what car u drove. 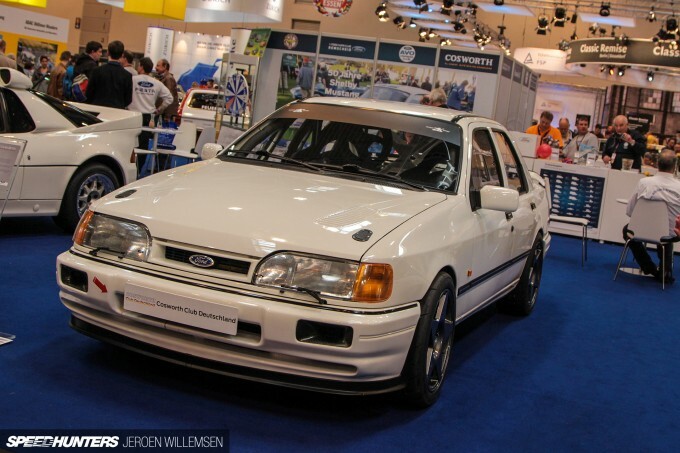 Awesome to see a BX 4TC appear on these pages! as a BX 16valve owner, the 4TC is the holy grail of BX's to us owners, Late in the game when it arrived but performed well! Lovely shots, really... although due to the slight angle applied to almost all of these shots, I found I couldn't use them for desktop wallpapers. Would like to have saved the 512 LM for my private background collection. Still, I maintain that these are otherwise beautiful images.